The third Friday of the month can only mean one thing, Tucson’s best party is set to rock another local fantastic Tucson restaurant or nightclub! That’s right, the amazing party planners at Tucson G3 are throwing Tucson’s only gay and lesbian happy hour at a fun downtown location that you’re sure to love. Keep reading to learn everything you need to know about G3 February 2019! When and Where is G3 February 2019? You’re gonna storm downtown Tuscon next Friday, February 15 as soon as everyone gets off work. 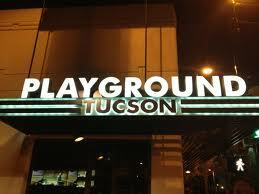 The party officially runs from 5 pm to 9 pm at Playground Bar & Lounge on Congress. It’s always a great idea to grab a bite to eat before a fun night of partying, so stop by any one of our amazing downtown restaurants, eateries, or food trucks. I’m sure you’ve heard, but Tucson is a World-Renowned Unesco City of Gastronomy. Be sure to take advantage of your location before the night truly starts! What Can I Expect at G3 February 2019? Playground Bar & Lounge is a fantastic setting for a wonderful party. You and you’re friends have the entire upstairs deck to yourselves! You’ll also have exclusive access to the upstairs full-service bar and you’re very own bartender. It’s the perfect spot for sipping a delicious cocktail while marveling over the transcendent Tucson skyline. Downtown Tucson is always busy, and with so much to do packed in such a little space, it’s no wonder why. My recommendation is to either park your car at one of the super convenient parking garages or even bypass driving altogether and take an Uber. Once you’re downtown, you can hop on the Sunlink Streetcar to get anywhere you’d like in no time at all! 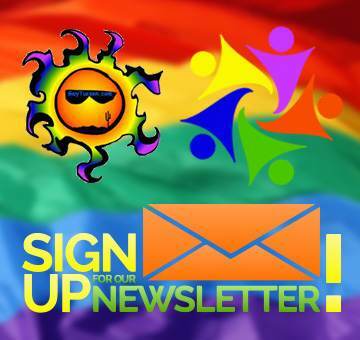 To learn everything else there is to know about G3 February 2019 and lots of other great parties and events all over Tucson, check out the GayTucson Events Calendar!